Pinot Noir is known to break hearts, which is one reason why so many winemakers have fallen in love with the grape. Human nature tends to succumb to the temptation to tame the hard to tame and to test one’s ability against the toughest of challenges. 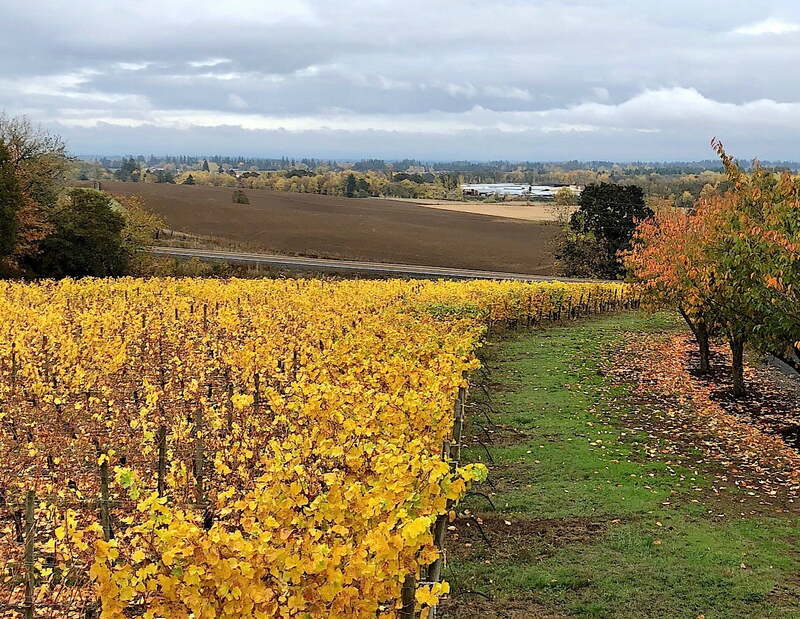 In Oregon, though, the grape and the climate are a match, making for one of the most fascinating stories in the wine industry during the past half-century. The west-coast state didn’t have a wine industry until the 1960s. Yet it took less than two decades for it to produce bottles of Pinot Noir that garnered global acclaim. Turns out the cold nights, high rainfall, mountainous landscape, and nutrient-rich soil in Oregon’s Willamette Valley are suited for Pinot Noir. According to wine writer Amanda Barnes, of the more than 8,000 hectares of vineyards in the valley, “over 70% (5,834 of them) are dedicated” to one variety. That said, change is happening in Oregon as it is in every viticulture region on the planet. With hotter temperatures in recent years, Pinot Noir is becoming even more finicky to cultivate. Oregon is still investing heavily in its signature grape but it is diversifying, making exceptional Chardonnay and adding to its offerings Tempranillo and other full-bodied red grapes — which typically need lots of heat to effectively ripen. 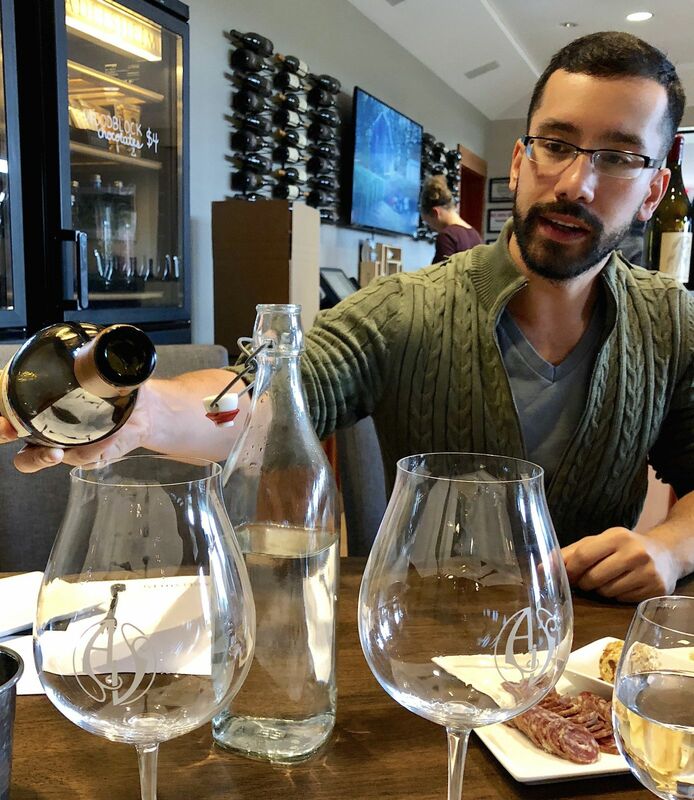 Both the superb quality of Pinot Noir and the fresh approach toward the other varietals make Oregon an intriguing place for wine lovers to visit. Here are six wineries in the Willamette Valley that provide distinct reasons to stop in and savor. Sixteen winemakers operate out of this one building, making a one-stop tour of the Willamette Valley possible for those travelers with limited time in the area. Some of the winemakers are among the best in the region. They pay rent to the cooperative based on the tonnage of fruit brought in from their farms. The winemakers have use of the studio’s cutting-edge equipment and plenty of opportunities to collaborate with each other. Visitors can sample wines that have been produced on-site and possibly mingle with the winemakers, too. The tasting room is a light-filled space surrounded by shelves occupied by the studio’s current and past products. A pleasant patio provides a chance for al fresco sipping. A five-minute drive away is the charming town of Carlton, whose main street is lined with restaurants and wine tasting rooms. If you’re stopping for a bite, be sure to visit The Horse Radish, featuring charcuterie plates with locally sourced meats and cheeses, and scrumptious sandwiches. That said, Redhawk remains dedicated to its strong stable of Pinot Noir bottles, including the popular Grateful Red, an entry-level wine that delivers the fruit-forward characteristics for which the grape is known. The vineyard also grows Riesling, Chardonnay, Pinot Gris, Merlot, and Mourvedre. Pataccoli moved from California in 2005 after he and his wife, Betty, decided that a life of farming and winemaking was what they wanted. They’ve turned Redhawk into a community watering hole with an atmosphere that’s more like “Cheers” than a typical tasting room. There are numerous opportunities to interact with Pataccoli and to tour the property, which has a stunning view of the valley. Often, one of the property’s namesake raptors is perched on a pole on the gravel road leading to the winery’s door. Those attributes all add to the ambiance of Redhawk, and that’s by design. One of the first wineries in the Willamette Valley is also one of the most advanced in its experiential programming. Adelsheim first planted wine grapes in 1965 and its first commercial vintage appeared on store shelves in 1978. Its Wine and Cheese tastings ($75) are conducted by one of Adelsheim’s six wine educators. These viticulture experts have studied wines and how to best explain them to the public. 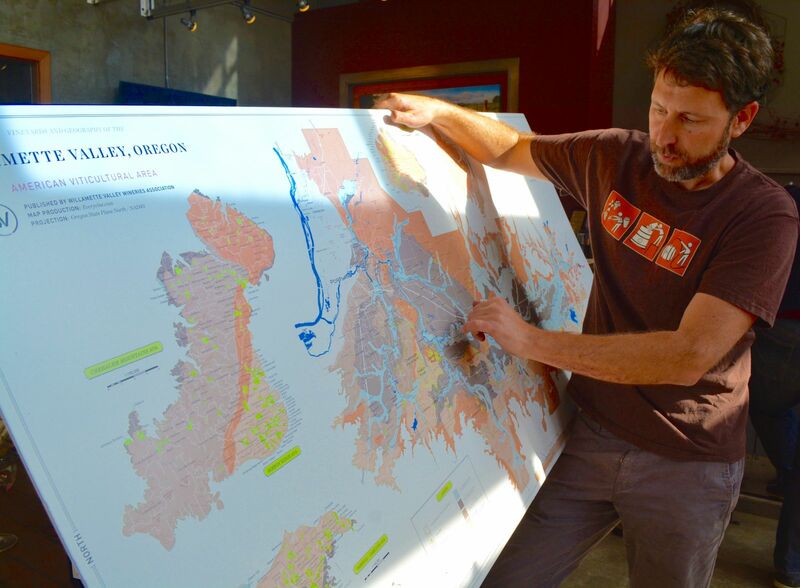 You will pick up knowledge of Oregon’s wines, its microclimates, and the terroir that makes its grapes so distinct. More than likely you’ll feel like you’ve emerged from one of the most enjoyable hour-long lectures of your life. You’ll be poured some of Adelsheim’s gems, including its elegant Stoller Chardonnay and rare single-vineyard Pinot Noirs that are limited to about 200 cases each. The winery is one of those in Oregon investing in new varietals, including its first vintage of Syrah. A community-owned winery whose shares trade on the NASDAQ stock exchange, Willamette Valley Vineyards (pictured at top) is a sprawling property with a million-dollar view and a million-dollar tasting room, too. The sleek, spacious tasting room evokes elements of the northwest with dark wood, sweeping windows, and a fire pit around which you can sit and sip some of the best wines of the region. It’s a must-stop on your tour through Oregon wine country. 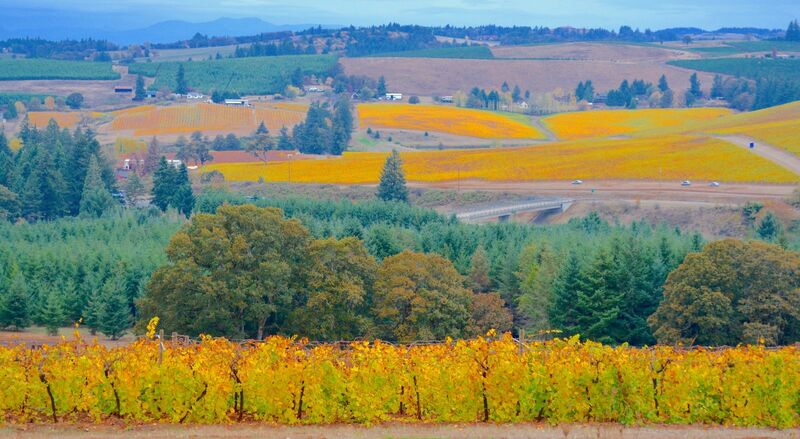 Discover more about Willamette Valley Vineyards on our sister publication, Vacay.ca. In 2017, Cristom’s Mount Jefferson Cuvée was named the No. 1 Oregon Pinot Noir in the United States in a poll of America’s top restaurants conducted by Wine & Spirits magazine. You don’t need to go fine dining to enjoy the Cuvée, though. Cristom offers an inviting on-property Picnic in the Vines option that includes sandwiches prepared by the Great Harvest Bread Co., snacks, and a bottle of wine of your choice — for $60 per couple. Considering that a bottle of the Mount Jefferson Cuvée sells for $35, the experience is a bargain (visitors must call ahead by 24 hours to reserve their lunch). A small vineyard, Cristom is a lovely stop in Salem. It has a beautiful garden at the front of the house and a family-friendly atmosphere inside. Its wines are highly esteemed, and are distributed in 26 countries and 49 states. Owner Mauricio Collado has created what is believed to be the only Cuban-American winery in the United States. Collado, a neurosurgeon, was born in Havana and moved to Miami, where he discovered a love for wine. 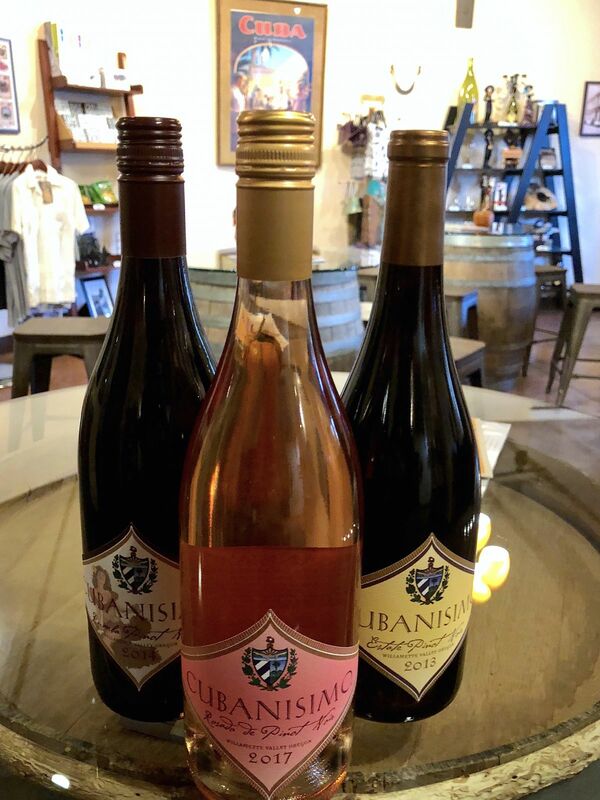 He purchased farm land in Oregon, planted Pinot Noir grapes in 1994, built a Cuban-themed tasting room, and promoted his business among the community in South Florida. Now, about half of Cubanismo’s visitors and its sales originate from Miami. The winery will often feature salsa lessons, Cuban musicians, and lectures about life in Cuba. All of that and the wine’s pretty good, too.